Do The IWBs or Clickers You (want to) Own REALLY Help Meet Learning Goals? [The Innovative Educator] - Ms. Nielson continues her crusade, and she'll always have an ally on this blog. If you're wondering what kind of simple, low-cost tech could replace these expensive ones, check out this earlier article. Lyrics Training Improves Your Foreign Language Skills Through Music [Lifehacker] - A fun way for you and your English Language Learners to communicate a bit better. Imagine how much you could invest these students if you practiced your language lessons together using this app. 101 Open Courses to Improve Your Teaching This Summer [Online Universities] - No time left to explore your online learning options? Here's a list you can use to make your last few weeks of summer as productive as possible. Sue's Top Ten Issues in Math Education [Math Mama Writes...] - This was posted quite a while ago, but is worth reexamining as we get closer to the new school year. One of the easiest and most powerful ways to build relationships with your students is to ask questions. The mere act of asking tells your students you care, and what you do with the information you gather will largely determine how effective you can be with those particular kids. Many times knowing what to ask just involves taking their lead, such as asking about an interest or achievement they express in class. Sometimes, though, you need to jump start the conversation. I’ve found that there are a few seemingly straightforward questions that can open up deep, powerful conversations with students. You may need to adjust them slightly to fit the grade level you teach, but these five questions will prove essential for all students. What do you want to do after high school? In other words, what are your goals for the future? This opens up avenues to discuss college, supporting yourself, living in the real world, and what they need to do now to reach their goals later. What do you want to be when you grow up? This is not the same question as the first one, largely because students don’t always see the connection. You can help them make it. You can also encourage them during your regular class activities when something related to their desired career pops up. Even if they end up changing their minds several times over (as we all do well into adulthood), it’s another way to show you care. How can I help you do better in class? This core question takes different forms depending on when you ask it. At the beginning of the year, you might ask for the one thing you need to do to help them do well. By the end of the year, you should be wondering what you could have done better. What do you think about school? Learning a student’s opinion about school helps shape your approach to helping them achieve. In truth, this list could include fifty questions, but these five are key to opening up the hearts and minds of your students. Veteran teachers, share your ideas and questions to ask every student in the comments. Telling it like it is: job applications [Mrs. Awesome Blogs] - This is hilarious, and pretty much exactly what I thought when I filled out district and school applications again and again (and again). Meccano [via Twitter] - A modern day version of the Erector Sets I played with as a child, including plastic versions for your very little ones. I got to unleash quite a bit of creativity through these toys, just like Lego, and I don't doubt for a second that this kind of play helped me in school later on. How Social Gaming is Improving Education [Mashable via Twitter] - This article from February 2010 illustrates a lot of the ideas I wrote about in No Need to Reinvent the Wheel to Revolutionize Educational Video Games for the blog Educational Games Research. Should Teachers Friend Their Students? [GOOD] - An oldie but a goodie. IWB, I Loathe You! [The Innovative Educator] - Even though this is a work of fiction, I swear that I attended this workshop not too long ago. 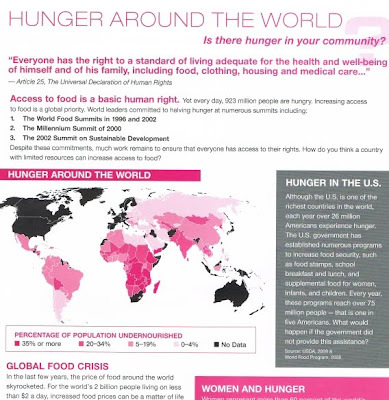 Recently I learned about a great resource designed to bring humanitarian issues and current events to the classroom: the non-profit organization Concern Worldwide. Concern works on a range of issues affecting the poorest, least developed countries in the world. Besides what they do on the ground, they created the Global Concerns Classroom to give educators access to resources that can be used in a variety of ways. Sylvia Wong of Concern sent me a box full of materials, almost all of which are freely available on their website, that have almost limitless classroom potential. There’s guides full of data, pictures, stories and open-ended questions on topics such as child labor, education, women’s rights, hunger, and more. There’s also a set of engaging posters that can get your kids thinking, talking and writing about these issues. Finally, there’s a set of well-produced videos available on DVD that further illustrate the problems facing these countries. In math, you could use the data and statistics available to create questions, or you could practice converting it into different types of graphs and charts. The materials provide great background information and primary source material for study of earth science, biology, bioethics, and more. In short, these are flexible materials that can bring global issues into your classroom in a way you might not have considered. I found these resources through Twitter (thanks to Sylvia Wong, who works for Concern and tweets from @concernGCC, for reaching out). Without going off on a tangent, you should join the ubiquitous social network with the express purpose of personal learning/professional development if you haven’t already. There’s a lot more to it than minute-by-minute celebrity updates and strangers telling you what they had for breakfast. …exactly as it’s written above by midnight CST Friday. Then, I’ll pick one lucky winner at random. You don’t have to follow me or Sylvia, but we sure would appreciate it. The only thing you need to enter is a Twitter account. Good luck! It took over a year of work and innumerable delays, but my new book is finally here. Teaching is Not a Four Letter Word: How to Stop Worrying and Love the Job is about overcoming the challenges that lead to abysmal teacher retention rates across the country. These are really the keys to surviving and thriving. I don’t really focus on classroom management or lesson delivery too much; there are plenty of other books I would recommend for those topics. This book is about keeping you happy, sane, healthy and in the classroom or any position where you can deeply, positively impact students. We’re on the cusp of the back to school season, and Teaching is Not a Four Letter Word is something you should consider giving to anyone you know who’s headed back in to the classroom—new and veteran teachers alike. It would certainly spark a lively debate and/or discussion in your teacher book club or PLN. No matter how you plan to use it, it’s a quick, easy read that you can literally carry with you (it’s pocket-sized). Right now, the book is available exclusively through Lulu.com, but it will soon be available on Amazon and elsewhere. You can also download a PDF version and save some trees. Either way, I appreciate your support. Thank you for reading, subscribing to and supporting this blog over the past 2.9 years (we’re about a month away from our third anniversary). Without you, there would have been no Ten Cheap Lessons, let alone this new book. I hope I can continue to pay you back for all the support you’ve given me over the years. Not my best artistic work, but you get the idea. How else could we take advantage of this fad for the educational benefit of our students? Share your ideas/crude drawings in the comments. There's no doubt that computers have made some parts of the writing process easier. As a teacher, I am extremely grateful that I don't have to attempt to read my students' handwriting, for example. I can require them to turn in all speeches and papers in a typed format, because our campus has a computer lab where they can do their work if they don't have a computer at home. Most computers will also tell you when you've made a mistake in spelling or grammar, allowing you to fix those before you turn in the paper (although I have discovered that not all students understand what the squiggly green and red lines under their words mean). But while the computer may have added some conveniences, it has had some drawbacks in terms of the thinking process itself. I've only started to understand some of these, and I'm seriously considering requiring a handwritten first draft of every speech and paper I assign in my Speech and Philosophy classes. Here are a few reasons why. You can make mistakes on a handwritten draft. There's something extremely satisfying about crossing out an awkward sentence or drawing an arrow to indicate that this example should go there. You can spread out your piles of notes and grab one when you want it, or toss it across the room for a 3-point shot into the wastebasket. It allows for non-linear thinking. Typing something onto a computer monitor is a very linear process, but not all students are linear thinkers. The free flow of ink or graphite on paper can include doodles, heavy cross-outs (the kind that relieve frustration as they practically tear the paper), emotional exclamations, margin notes, mind mapping, diagrams, or any other kind of expression of ideas that doesn't flow from I.A. on down. It uses different parts of the brain. Different neuron pathways are forged through hand-writing than by on-screen writing. 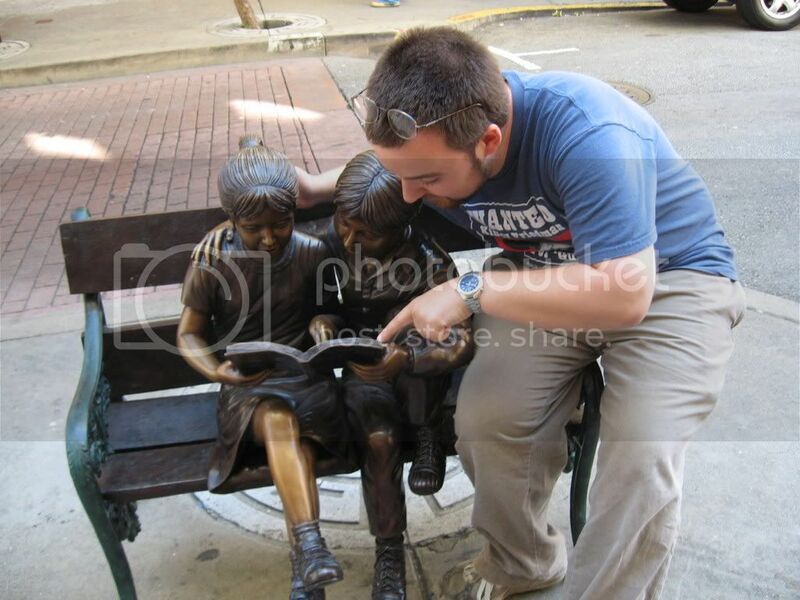 Even professional writers sometimes break away from the computer screen and jot down notes on character, plot, and setting, because the sheer physical action stimulates the imagination differently. For further stimulation, try writing a few lines with your non-dominant hand—your thinking becomes really creative then! It helps you discover what you want to say. According to Daniel Chandler, in his article "The Phenomenology of Writing By Hand," there are two kinds of writers: those who have fully formed ideas in their heads and simply write to record them ("Planners") and those who discover what they want to say as they write ("Discoverers"). In my experience, most students are Discoverers, and therefore must have a rough draft before they even begin to contemplate what they will turn in for their assignment. If this first draft is handwritten, it allows the student more time and more direct experience of the discovery process—simply because hand-writing is slower, and the connection between hand, pen, and paper links you to the world of ideas you're exploring. It looks like a rough draft. This may be the most important consideration. A paper that's typed up and neatly printed out looks like a final copy—no matter how underdeveloped the ideas, arguments, or communication within it might be. Many students stop there, since they have a paper that appears to be ready to turn in. At that point, the teacher's reaction (mine, at least) is often, "Did you not even read over your own paper before you turned it in?" But if you hand write it first, you have to develop ideas in a state that makes it clear that the paper is not ready to turn in. You're far more inclined to clarify your arguments, then get the paper into a presentable format. Technology has made many parts of education more convenient and efficient. But there aren't any shortcuts to good thinking. By hand writing the first draft of a paper, students still have to move slowly through the steps of a more complete thinking process, and that's good for everybody. This guest post was contributed by Kathy Teel, who is a college teacher, mom, and professional writer. She's currently a member of one of the fastest growing online education communities and writes on topics like education, teaching, learning, and parenting for Online Schools (www.onlineschools.org). #7 Chris Anderson, Curator, TED Conferences – If you haven’t heard of these, or are unaware of their mind-blowing educational content, I suggest that you climb out from under your rock. #37, Jamie Oliver, Chef – Oliver isn’t worried about crowning the next Food Network star or opening an expensive foodie haven in some trendy location. He just wants to stop poor eating habits and obesity in America. No big deal, right? The child nutrition administrators in every district in the country need to track down and watch his complete Food Revolution miniseries (watch clips on ABC.com). #43, Mark Covey, Simulations Director for the Joint Training Counter-IED Operations Center, Department of Defense – Covey is pioneering the use of realistic, video game-like simulations to prepare soldiers for combat. While there’s plenty of experiments in immersive, educational video games going on around the country, we’re way behind where we need to be in terms of widespread use and acceptance. The kicker? The technology is already out there. #47 Carol Twigg, President & CEO, National Center for Academic Transformation – Twigg is showing universities how to lower the cost of higher education, which is good. Unfortunately, some schools see this as a way to reduce expenses without cutting the cost for students. #48, Todd Park, CTO, Department of Health and Human Services – Like Jamie Oliver, Park is tackling public health issues. His weapon of choice is apps and games that tap into the vast wealth of information his department keeps. I’d love to see other government entities trying the same thing (not to mention university researchers). #51 Corinna Lathan, Cofounder, CEO, AnthroTronix – Her company’s robots do everything from bomb disposal to helping kids in physical therapy. 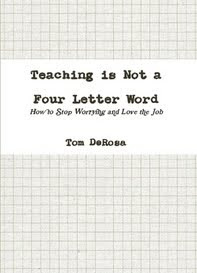 The lesson here is that there are possibilities for helping kids everywhere, if you're looking for them (something I write about in my upcoming book, Teaching is Not a Four Letter Word: How to Stop Worrying and Love the Job). #62 Ray Kurzweil, Inventor, Cofounder, Singularity University – Kurzweil's brainchild has long been a bellwether of where higher education is really going. Say goodbye to colleges; people will be building their own education using easily available online resources (most free, unlike this example) and start solving the world's problems, whether or not they get a degree for their efforts. #67, Stacey Simmons, Founder, Omnicademy – Simmons has is tapping into the idea of online courses for college, but making sure students actually get credits at their regular brick and mortar school. She's taking the open-source university idea and weaving it into the fabric of the traditional system, and I have no doubt she'll be very, very successful. #84, Avner Ronen, CEO & Cofounder, Boxee – Boxee a bridge between all the video and other media on the Internet and your TV. I feel like this is a breakthrough for the classroom, making sharing media with your students very, very easy. Unfortunately this isn't the way most school and district leaders think. #87 Patrick Awuah, President, Cofounder, Ashesi University College - Awuah took what he learned in the U.S. and built a school based on critical thinking and ethics in Ghana. Wait, there's a school in America that actually teaches critical thinking and ethics? #93, Phoenix Wang, Cofounder, Startl – Startl provides start-up capital for educational entrepreneurs. Need I say more? So many great ideas here, and there were certainly more if you are willing to think outside the box a little more. I hope you're listening. The new class of Teach for America corps members in Houston are about to finish their summer institute this Friday. Soon after they'll be dispersing to Dallas, Houston, Jacksonville, Miami-Dade, San Antonio and of course the Rio Grande Valley. In honor of this time, I have a little of my own Institute experience to share. On or around this day seven years ago, when I was just a clean-shaven, impossibly young-looking corps member, our adviser asked us to write a letter to ourselves that she would send to us at the end of our first year. It arrived as promised, and gives a unique window into what I was going through at that time. Don't lose my perspective or sense of humor about this job or life in general. Read more about my Institute experience, including what I wrote in my proposed speech for the closing ceremonies. *I have not, as of yet, learned to salsa. I was really intrigued by your speech at the National Charter School Conference in Chicago a couple of weeks ago. I had read quite a bit about your leadership at Netflix and heard that you were on the board of Rocketship Education, an innovative charter school network in San Jose, CA. Yet I had no idea just how deep your dedication and contribution to education was until I heard both your list of accomplishments and your speech. I’m not writing about the content of your speech, however, but offering an opportunity to bring your personal and professional worlds together in a mutually beneficial way. In 2006, Netflix launched the Netflix Prize competition to improve the accuracy of your company’s movie recommendations. Participants were given a set of data and then tested different algorithms against your own, and in 2009 the prize was finally awarded. This was a great educational exercise for mathematicians, computer scientists and other researchers, and obviously beneficial for your customers as well. 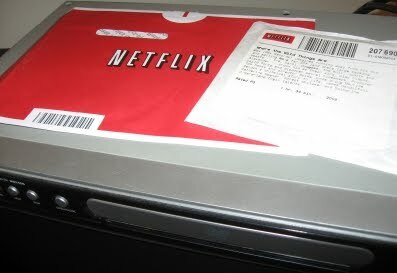 I propose a new Netflix Prize competition where no user data would be needed, eliminating any privacy concerns. Instead of mining the most accurate predictions from a given set of data, let’s improve accuracy by increasing the amount of data your recommendation engine has to work with. In other words, let’s create a competition with a goal of getting users to rate more movies. The conclusions of any experiment are only as good as the quality of the data, and in this case, quality is also quantity. Recently, Starbucks was the lead sponsor of the BetaCup Challenge, looking for innovative solutions to the millions of disposable cups the coffee company’s customers were tossing every year. Most of the entries focused on building a better cup, but the winners had a different idea: take the disposable cups out of the equation altogether by giving people an incentive to bring their own. Starbucks already gives anyone bringing in reusable mugs a small discount, but the Karma Cup team went further: every tenth person with a reusable mug gets free coffee. This simple, elegant solution was successful because it approached the problem from a completely different direction. That’s exactly what I'm proposing with this new Netflix Prize. The new competition would be accessible in a way that the high-level mathematics of the original was not, which is where the education connection comes in. This competition is almost tailor-made for school-age students. I would encourage kids to enter the competition, offering prizes for a wide range of age groups as well as a grand prize. The creative thinking, writing and problem solving skills that would be required from the young people who would participate is exactly the kind of thing we want our students to be doing in school. We know it’s not always happening—at least not at the level that’s needed to prepare them for college and the real world—so we must embrace every opportunity to make it happen. I suppose adults could enter the competition as well, but that wouldn’t really be the point. This is an obvious educational opportunity with clear benefits for Netflix as well. I hope that you’ll consider it for the future. When Alice Cooper sang those now-famous words, "school's out for summer," he may have meant it solely as an anthem for rebellious youths. Little did he know teachers would soon be singing along just as loudly. 1. What could be more peaceful than a yoga class from the comfort of your own home? Light a few candles, lay down a mat, set your fan or A.C. on high (It may be peaceful, but it's still a workout) and turn on one of Yoga to the People's online classes. The bi-coastal yoga institution offers free classes to yoga practitioners in both New York and Berkeley. If you're in the area, check one out. If not, these online courses are just as good, and you won't have to worry about getting kicked in the head during practice (a free class can really draw a crowd). 2. When was the last time you pampered yourself? We're talking spa-and-massage-day pampered yourself. Groupon offers tons of discounts and coupons for high-quality spas around the country. Just enter your city and your email address to get daily discount alerts. 3. The last thing you may want to do is step back into a classroom, but some local community colleges offer free classes for adults ranging from painting to photography. Take the summer to unleash your inner artist or discover a passion you've pushed aside during the busy school year. 4. Entertainment Weekly recently hailed Stieg Larsson's The Girl with the Dragon Tattoo the "hottest book on the planet," and if you haven't read it or the other two books in the trilogy, summer's the time to do it. This is a guest post from Brennon of CampusBookRentals.com. The Man Who Could Unsnarl Manhattan Traffic [Wired, June 2010] - Great example of a practical, real world application of data analysis and statistics. 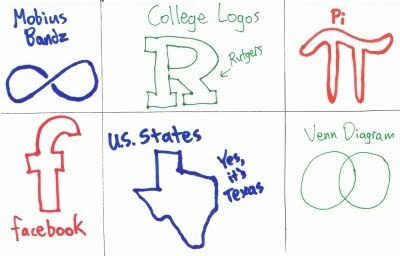 Could be an interesting jumpstart for a discussion in an upper level math class. "Nudging" Students to Eat Fruit Could Be Key to Better Lunches [GOOD] - New research shows that by simply changing the logistics of the cafeteria, such as how good foods are presented and the way students pay for lunch, is more effective and beneficial than more expensive changes. This sounds strangely like what teachers must often do in the classroom: "selling" our students on the importance of unappealing and uninteresting topics by presenting it in an engaging way. 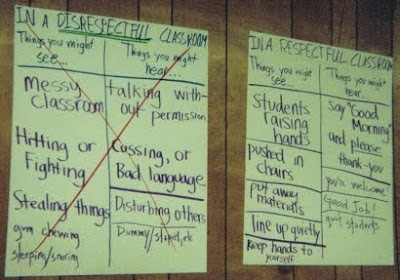 Dead Class Pets - If you like the blog Look at my happy rainbow!, a personal favorite I link to constantly, you'll appreciate the classroom stories of Washington, D.C. elementary teacher Sarah Garb. End of Year Reflection [Misscalcul8] - If you're trying to make sense of the school year that just ended, here's a thoughtful and thorough model to follow when you do so. After nearly a year of tutoring mostly elementary students after school, I sometimes wonder about becoming an elementary school teacher. I’ve made a career out of taking on different challenges almost every year, so it doesn’t seem that unreasonable to me. I would certainly need to think about how to teach a wider range of subjects, not to mention the different emotional, physical and psychological needs of younger children. Recently, I heard about a resource that could give me some of the perspective I was seeking. 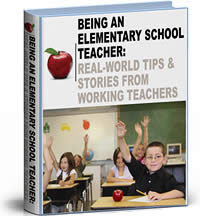 Being an Elementary School Teacher: Real-World Tips & Stories From Working Teachers is a free ebook from CityTownInfo.com. It features profiles of twenty-five teachers, covering just about every subject, grade and level of experience. You get a snapshot of their background, the positive and negatives of the job, and succinct advice for anyone considering a career in elementary education. Even if you’re already a teacher, this is a good way to get a bit of perspective on what others might be going through. It’s also a quick read (only 67 pages). Download it for free from CityTownInfo.com. There have also been many entries in my ongoing flashback series, The Evolution of Mr. D, as I finished my second year in the classroom and started searching for a new job. As crazy as year two was, it's nothing compared to what happened in year three. Trust me. 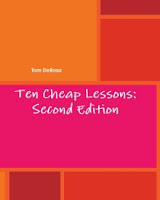 Pick up my revised and updated book, Ten Cheap Lessons: Second Edition ($9.95 paperback / $2.50 eBook). SlopeIntercept Rap [via The Quick and the Ed] - Best educational math song I've ever heard (and I'm even counting my song). Special Report: Reading by Grade Three [The American Prospect via Eduwonk] - The progressive magazine takes a deep dive into early reading education with a seven-part series. Math Ninja iPhone/iPad app for Tweens [Connect with Your Teens through Pop Culture and Technology] - As a recent iPhone adopter, I'm intrigued by the possibilities of educational apps. Top 50 Blogs for Teachers - Another great primer for those expanding their personal development/learning network this summer (I'm honored to be included).